Shamirpet is known for several things. First of all, it is actually a residential area, filled with suburban areas and villages from Adraspalle and Aliabad to Uddemarri and Upparapalle. The area is fairly well populated, although perhaps not as choked by inhabitants yet as the places near the Hyderabad city centre. Even so, it holds a good number of the most important facilities, both in the commercial and education senses, to the city proper. One of the top law colleges in the country, the National Academy of Legal Studies and Research or NALSAR University of Law is based here, which means that there is a fine legal education community in the area. Another well-known university, the Birla Institute of Technology and Science or BITS Pilani-Hyderabad Campus is also in the area, further adding to the educated quality of the residential population. The place is also home to a relatively new and advanced ballistics facility, where military weapons as well as armour can be tested for use and efficiency. Where the link to nature becomes evident in the technological side of Shamirpet, however, is in its possession of Genome Valley. The Valley is the centre of research for biotechnology studies, and is quite well-known throughout the country for the excellence of the organisational facilities and research centres it hosts, as a matter of fact. But Shamirpet is more than just a cluster of modern buildings. 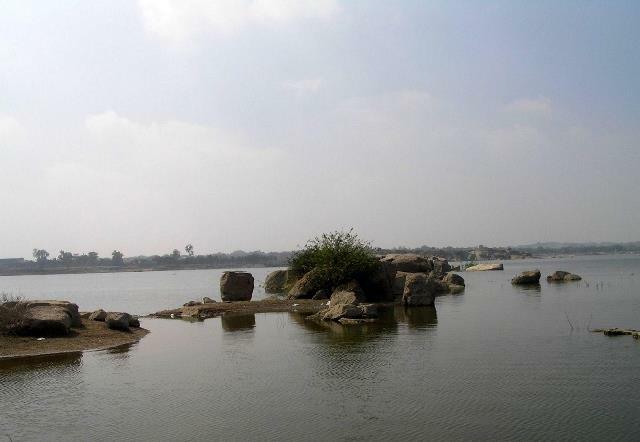 First of all, it also has one of the beautiful man-made lakes of Hyderabad, a rather lovely body of water that many locals love to go just to relax. The lake is known for attracting quite a number of migratory birds, so birdwatchers tend to congregate here every once in a while in order to spot the different species as they come and go. The lake is also not difficult to reach at all, given that the main road, the Outer Ring Road comes so close to it. For those who want to stay nearby, the state government actually offers a number of cottages for hire in the area, for a reasonable lodging fee. As with most other places where you can stay, the rent goes up if you come on a holiday. There is also a deer park near the lake that holds several species of deer, and which admits people during normal office hours. If you are more the temple-visiting type, though, not to worry: Shamirpet also holds quite a number of temples of interest. Perhaps the best ones to visit would be the Ratnalayam Temple and the Vargal Saraswati Temple, both of which have some lovely architecture.